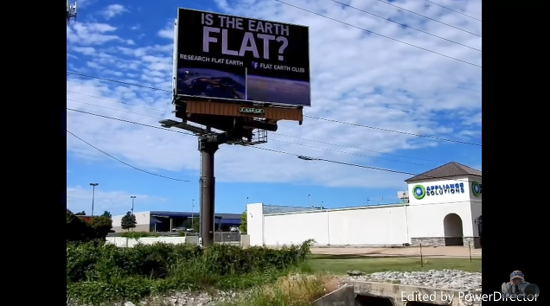 Just weeks after putting up a billboard in Philadelphia encouraging viewers to do “RESEARCH,” Flat Earth conspiracy theorists have paid $1,500 for another digital billboard in Tulsa, Oklahoma. 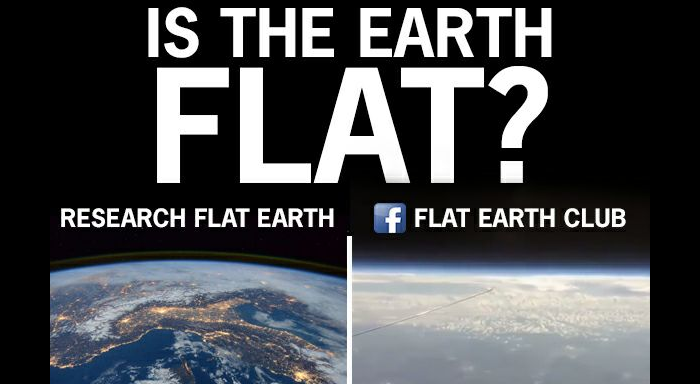 The ironic thing is that the curved planet image — the one they’re trying to say isn’t real — may very well be an actual photo taken from space. Even if it’s an illustration, real photos are available to all of us and they show the totally-not-flat reality that is our planet. This billboard was paid for by Oklahoma native Marisa Keeland, whose Facebook page is a rabbit’s hole of Flat Earth memes. “The flat earth is no joke. People all across the world are waking up to the deception behind Satan’s spinning ball,” he wrote. “Marisa funded the Tulsa billboard herself. She, like myself and millions of others, are dedicated to spreading this truth. And don’t worry if you can’t see the billboards from your city. According to these people, all you have to do is look further down the line.